On humanity’s often fanatical, obsessive, and fearful road to the cosmos over the course of the 20th century. The moon has cast a spell on us since before we were human. After our nocturnal animal ancestors evolved the ability to focus on distant objects, they looked out from the treetops and saw that the moon was something different. It crossed the night sky in a manner unlike every other part of the natural world. It moved smoothly. It grew full and waned to a regular rhythm that was unaffected by events in the rest of the world, but which cast an inescapable influence over that world. It was separate from us, unreachable. In time the moon became associated with dreams, love, longing and imagination, and all that was intangible. It was something that we yearned for, but could never claim. This didn’t stop people fantasizing about travelling there. The second-century Syrian writer Lucian claimed that a waterspout had transported his ship to the moon, in a book admirably entitled A True History. He found himself in the middle of a war between the King of the Moon and the King of the Sun. There were no women on Lucian’s moon, and children had to be born from men. In the early seventeenth century the Welsh bishop Francis Godwin wrote of travelling to the moon in a vehicle pulled by wild swans. The moon was a utopian paradise, he reported, populated by lunar Christians. When Jules Verne wrote his novel From the Earth to the Moon in 1865, in which members of the Baltimore Gun Club built a giant cannon and fired themselves into space, it seemed just as fantastical as the stories of Godwin and Lucian. The cosmos itself, as we understood it when Einstein’s theory was first published, contained the planet Earth and seven other planets revolving around the sun. Pluto was not discovered until 1930. It was clear that, beyond our immediate solar system, there did seem to be an awful lot of other stars out there, but quite exactly what that meant was open to debate. This ignorance did not last, and the story of cosmology in the twentieth century was one of a continuous expansion of both our knowledge and our sense of awe. In March 1919 the English astrophysicist Arthur Eddington sailed to the African island of Principe. His goal was to record the position of the stars during a solar eclipse, in order to find out if Einstein was right. Common sense and Newton’s laws said that light from distant stars would be unaffected when it travelled close to the sun. But if the fabric of reality did curve in the presence of mass, then the path of light from distant stars would also curve. Those stars would appear to be in a slightly different position when the sun passed them. This could only be tested during a solar eclipse because the brightness of the sun made recording the position of the stars around it impossible. Eddington’s mission was a success. The universe behaved as Einstein’s theory predicted. But Einstein’s work predicted a lot of other strange things as well. It suggested the possibility of “black holes,” areas of matter so dense that everything nearby was pulled inescapably into them, including light. Relativity also claimed that the curved nature of space-time allowed the universe to be a finite size, but not come to an end. A spaceship travelling the length of the cosmos would not eventually fall off the end of the universe. Instead, it would find itself back where it started, like an ant walking around the circumference of a football wondering when the damn ball would come to an end. The concept of the centre of the universe, which made perfect sense in a three-dimensional universe, was meaningless in the four-dimensional universe of space-time. It was simply not possible to locate the edges of the universe, let alone work out a midway point between them. Observations of the universe improved continually over the century. It became apparent that the air pollution over London hindered the work of the Royal Observatory in Greenwich, so the telescopes were packed away in 1948 and moved down to the clearer air of Herstmonceux in Sussex. Omphaloi may claim to be fixed points, but they never last. By 1984 Sussex was also deemed unsuitable, so the observatory was moved to the Canary Islands. High altitude and remote locations provided the greatest views of the heavens, so telescopes were built in locations in Chile, California, and Hawaii. Even these began to show their limits, and some of our greatest telescopes are now placed above the atmosphere, in orbit around the planet. As a result the level of detail in our images of space increased exponentially during the twentieth century. The universe was no longer “just there,” supporting us. It had been born, it was growing, and one day, perhaps, it would die. It gradually became apparent that the cosmos wasn’t just sitting there, eternal and unchanging. The universe was expanding, like a balloon being inflated. And if the universe was expanding, then it stood to reason that it used to be smaller. If you went far enough back in time it would get smaller and smaller until it had shrunk down to nothing. This was the birth of the universe, the moment when the cosmos was born out of the void. In 1949 the English astronomer Fred Hoyle memorably described this as a “Big Bang,” although the event he described wasn’t big and didn’t go bang. This was, in theological terms, something of a game-changer. The universe was no longer “just there,” supporting us. It had been born, it was growing, and one day, perhaps, it would die. Our knowledge of the universe grew as our telescopes improved, and as a result mankind’s relative importance grew smaller and smaller. The universe turned out to be full of clumps of stars called galaxies, such as our own local clump the Milky Way. These vary in size but can contain as many as a hundred trillion stars. There are believed to be more than 170 billion galaxies in the observable universe. Writing numbers like “170 billion” or “a hundred trillion” is in many ways a pointless exercise, because those words in no way convey the quantity that they represent. Should a person even begin to glimpse what those figures represented, they would immediately need to sit down and have a strong drink. If they truly understood the scale of those trillions they would be off work for quite some time. In the twentieth century we looked out into space, and discovered that we couldn’t grasp how big it was without causing our minds to snap. This, then, was the frontier we were planning on crossing. This was the final frontier, a non-infinite infinity which could generate awe like nothing the human race had encountered before. It was time to leave home and take our first steps outside. When he was a young boy growing up in pre-war California, Marvel Whiteside Parsons loved science fiction stories such as those found in Hugo Gernsback’s Amazing Stories magazine. A particular favourite was Jules Verne’s novel From the Earth to the Moon. The idea that a rocket could leave the earth’s atmosphere and travel to the moon was considered as fanciful then as a time machine is today. Rockets had existed for thousands of years, ever since the Chinese invented gunpowder, and their inclusion in “The Star-Spangled Banner” (“… and the rocket’s red glare”) gave them a place in the American psyche. But they did not scale in a way which made journeys into space appear possible. The weight of the required fuel and the structural integrity needed to control such force seemed to be insurmountable obstacles. A 1931 textbook declared that there was “no hope” that rockets would lead to space flight, and that “only those who are unfamiliar with the physical factors involved believe that such adventures will ever pass beyond the realm of fancy.” As late as 1940 Dr. John Stewart, the Associate Professor of Astronomical Physics at Princeton University, wrote that while a rocket trip to the moon wasn’t theoretically impossible he didn’t expect it to happen before 2050. He had no idea that, the previous October, Nazi rocket scientists had launched a rocket to an altitude of almost sixty miles, very close to the 62-mile-high Kármán line, which marks the boundary between earth’s atmosphere and outer space. But Parsons was a complicated individual. He signed a document stating that he was the Antichrist. He dedicated his spiritual life to summoning the Whore of Babylon, the lustful, beast-riding divinity prophesied in the Book of Revelation, in order that She could claim dominion over the entire world. Parsons was born on 2 October 1914, which happened to be the date that Charles Taze Russell, the founder of the Jehovah’s Witnesses, claimed would usher in Armageddon. Nowadays chanting black magic invocations before rocket tests is frowned upon, but it does add a certain something. Parsons was recruited into the world of academic aeronautics research by the famed Hungarian physicist Theodore von Kármán, after whom the boundary between earth’s atmosphere and outer space was named. Von Kármán had a reputation for being willing to take on unlikely projects, and his colleagues at Caltech were happy to leave the “Buck Rogers stuff “ to him. Parsons had no formal college education, but von Kármán recognized his talent and intelligence and included him in a research group working on identifying more powerful rocket fuels. Naturally charming and handsome, Parsons had no difficulty moving among the engineers and experimenters of academia. Parsons’s group soon earned the nickname the Suicide Squad, following a number of failed rocket-fuel experiments that caused safety concerns on the Caltech campus. In response they were moved to a few acres of land nearer the San Gabriel Mountains, just above the Devils Gate Dam. NASA’s Jet Propulsion Laboratory is situated there to this day, and considers its official moment of founding to be the experiments performed by Parsons and the Suicide Squad on Hallowe’en 1936. The approaching war brought a turnaround in the fortunes of the group, in terms of both financial support and the credibility of their field. The outbreak of war in Europe also coincided with Parsons’s discovery of Aleister Crowley, although he had long held an interest in the darker side of the occult. 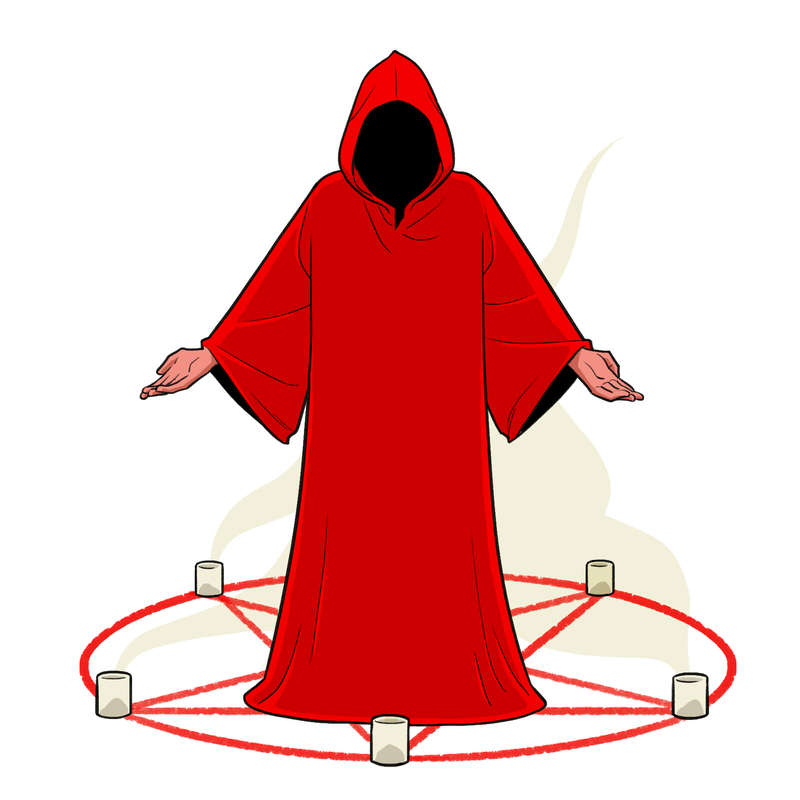 He claimed that he first attempted to invoke Satan at the age of thirteen. After the war, when his technical reputation was assured, he sold his share in the Eurojet Corporation and dedicated himself to furthering his occult studies. Parsons, who had found work making explosives for Hollywood movies, had most likely made a careless mistake when working in his laboratory, where he stored a significant amount of chemicals and explosives. There have been a number of other theories for his death over the years, as you might expect given his links to military secrets and the world of the occult. Parsons’s interest in both rockets and ritual magic might seem surprising today, when a career in rocket science is considered to be professional and respectable. But when Parsons set out on his path, they were both fantastical. Such was Parsons’s will and personality that he pursued them both regardless, in the long tradition of magically minded scientists such as Isaac Newton or the sixteenth-century astronomer John Dee. He was concerned with summoning and controlling colossal amounts of explosive energy, both mental and chemical. Both were dangerous, and in both he could be reckless. If he didn’t have the demons that drove him towards the occult, it seems unlikely that he would have had such success in the field of rocket science. It was the same urge that propelled him down both paths. In 1972 the International Astronomical Union named a crater on the moon “Parsons Crater,” to mark his pioneering work in the field of rocket science. It is perhaps apt that the crater that honours Marvel Whiteside Parsons is on the dark side of the moon. In July 1943 a charming, handsome German aristocrat named Wernher von Braun was driven to Wolfsschanze, a secret bunker headquarters hidden deep in the woods outside Rastenberg in East Prussia. This was Hitler’s infamous “Wolf ’s Lair.” Von Braun’s intention was to convince his Führer to support the production of a new rocket he had developed, the A-4. Amidst the dark, grimy industry of the Second World War, A-4 rockets appeared to be technology from the future. Standing forty-six feet tall, these sleek, beautifully shaped rockets looked like illustrations from pulp science fiction. They had a range of two hundred miles and were decades ahead of anything the Russians or Americans were capable of building. The problem was that Hitler had previously dismissed the project because of a dream he once had. In that dream Hitler was convinced that no rocket would ever reach England, and for that reason he simply did not believe that the project was worthwhile. By 1943 Hitler was pallid from living in bunkers away from sunlight. He looked much older and frailer than before the war, and the slight stoop as he walked made him look smaller. An army general who accompanied von Braun was shocked at the change in him. Yet as Hitler watched von Braun’s confident presentation and saw footage of successful A-4 test flights, a marked change came over him. “Why could I not believe in the success of your work? Europe and the rest of the world will be too small to contain a war with such weapons. Humanity will not be able to endure it!” he declared. Hitler took a gamble on von Braun’s work winning him the war, and redirected much needed resources to the rocket program. The A-4 would be renamed the V-2, the “Vengeance Weapon.” Hitler wanted the rocket’s load to be increased from a 1-tonne to a 10-tonne warhead, and he wanted thousands of them to be mass-produced every month. For Hitler, the V-2 was a weapon that would break the spirit of British resistance in a way that his previous bombing blitzes had not. It probably would have done if it had been deployed earlier in the war, rather than during the European endgame when the Russians were approaching Berlin as the Allies advanced from the west. The V-2s that were used against England took a psychological toll on the war-weary population, which was noticeably greater than the impact of the 1940 and 1941 Blitz. There had been a ritual pattern to life under the Luftwaffe bombing campaigns against cities such as Coventry, Belfast, and London. They began with the wail of the air-raid sirens, which heralded the increasing drone of the approaching bombers and the journey to the air-raid shelters until, finally, the all-clear was sounded. The British people had proved remarkably able to adjust to life under this ritual. The V-2s, in contrast, fell silently. They were undetectable in flight and impossible to shoot down. They could hit anywhere at any time, leaving the populations of target cities permanently unnerved and scared. For von Braun, this was all incidental to the pursuit of his childhood dream. Like Jack Parsons, von Braun’s goal was space flight. As a boy growing up in a wealthy Berlin family he had studied the moon through a telescope and strapped rockets to his go-kart. But space flight was as much a crank’s dream in pre-war Germany as it was in pre-war America. The establishment did not take it seriously and it was certainly not something they funded. His only option was to keep that dream hidden while attempting to advance it through the only means possible: weapons research. Wernher Von Braun was personally involved in acquiring slave labour from concentration camps such as Buchenwald. Ten years later he was in America presenting children’s programs on the Disney Channel, in an effort to increase public support for space research. Von Braun did not show signs of being unduly troubled by the morality of this path. He joined the Nazi Party in 1937 and the SS in 1940. He was promoted every year until he reached the SS rank of Sturmbannführer. Following his successful appeal to Hitler, he oversaw production of his V-2 rocket at Mittelwerk, a factory built underground in order to protect it from Allied bombers. Mittelwerk consisted of 42 miles of tunnels hewn out of the rock by slave labour, and the descriptions of the state of the slaves when they were liberated by American forces in 1945 are harrowing. Over twenty thousand slaves died constructing the factory and the V-2. Mass slave hangings were common, and it was mandatory for all the workforce to witness them. Typically twelve workers would be arbitrarily selected and hung by their necks from a crane, their bodies left dangling for days. Starvation of slave workers was deliberate, and in the absence of drinking water they were expected to drink from puddles. Dysentery and gangrene were common causes of death. There are records of the liberating forces’ failed attempts at removing the stench of death from the tunnels with strong disinfectant. Von Braun himself was personally involved in acquiring slave labour from concentration camps such as Buchenwald. Ten years later he was in America presenting children’s programs on the Disney Channel, in an effort to increase public support for space research. Whatever he had to do in order to advance his dream, von Braun did it. Von Braun’s journey from the SS to the Disney Channel was fraught with difficulties. As one of the most gifted rocket scientists in history, he was regarded as something of a prize by Russian, British, and American armed forces. But with the Third Reich collapsing around him in the final weeks of the European war, this did not mean that he or his team would not be killed by mistake, or that their work would survive the chaos of regime change. Hitler’s infamous “Nero Decree” of March 19, 1945 complicated matters further, for it demanded that “anything … of value within Reich territory, which could in any way be used by the enemy immediately or within the foreseeable future for the prosecution of the war, will be destroyed.” Von Braun and his men were clearly of value and were placed under armed guard by the SD, the security service of the SS. Their SD guards were under orders to shoot all the rocket scientists the moment they were in danger of being captured by either of the oncoming armies. Fortunately, von Braun’s colleague General Walter Dornberger was able to persuade the SD major that he and his men would be hanged as war criminals if they complied with this order, and that their only hope of surviving the war was to burn their black uniforms and disguise themselves as regular German troops. Von Braun had already decided that he wanted to surrender to the Americans. His argument was that America was the only country not decimated by the war, and hence the only country financially able to support a space program, but it is also clear that his aristocratic background would not have been well suited to life in the Soviet Union. America, in turn, wanted von Braun primarily because they didn’t want anybody else to have him. Arrangements were quickly made to bring von Braun to America, along with his designs, his rockets and about a thousand other Germans (members of his team, along with their family members). An operation to whitewash the files of von Braun and other prominent Nazis in the team began. Jack Parsons’s old mentor von Kármán was part of this process. It was known as Operation Paperclip, after the paperclips that were used to attach fake biographies, listing false political affiliations and employment histories, to their files. Following Operation Paperclip, even Nazis who were guilty of war crimes were eligible for life in the U.S. Von Braun settled into an army research facility in El Paso, Texas, together with his team and their families. His hopes of commencing research into a space program, however, soon faltered. The U.S. did not expect another international war to erupt and saw no reason to develop weapons for one. It would be over a decade before von Braun’s talents were put to use. Yet the chain of events which led to this started with the end of the Pacific War. Man’s conquest of space owes much to a destructive force on a par with that sought by Jack Parsons at his most insane. This appeared in the skies above Hiroshima and Nagasaki in August 1945. The first nuclear weapon used against an enemy country was an A-Bomb called Little Boy. The United States Air Force dropped Little Boy on Hiroshima on August 6, 1945. It killed an estimated 66,000 people immediately, and 69,000 as a result of injuries and fallout. The second and last nuclear weapon ever used in warfare fell on Nagasaki three days later. It was called Fat Man, and it killed a total of 64,000 people. Both bombs were carried across the Pacific in the belly of a B-29 “Superfortress,” an enormous four-engine bomber with a combat range of over 3,000 miles. The B-29 was developed when the Americans feared all of Europe was going to fall to the Third Reich, meaning that any air strikes against Germany would have to have been launched from Canada or the U.S. The B-29’s development, with hindsight, can be seen as a significant moment in American history. It has come to symbolize the rejection of the United States’ historic isolationist policies. The invention of nuclear bombs, as well as nuclear energy, was another of the unforeseen implications of Einstein’s General Theory of Relativity. Einstein had been playing around with the mathematics of his work when a beautifully simple equation popped out, as if from nowhere. This equation was E=mc2. “E” represented an amount of energy, but curiously the “m” represented mass and so referred to physical matter, rather than energy. “C” was a constant which stood for the speed of light. This was a big number, and once it was squared it became massive. The equation, therefore, said that a small amount of mass was equivalent to a really huge amount of energy. The question then became how to free and utilize that energy, and splitting up heavier, unstable elements such as plutonium or uranium seemed to be the way to go. The decision to use nuclear weapons against Japan is still controversial. Some see it as a war crime and argue that, as President Eisenhower wrote in his memoir, “Japan was already defeated and dropping the bomb was completely unnecessary.” Others point to the Japanese ancient warrior tradition of bushido as evidence that the country would never have surrendered, and to the fact that the bombing prevented a land invasion and hence saved the lives of many thousands of Allied troops. More recently historians have argued that the bomb was used as a show of strength towards the Soviet Union, rather than as a means to defeat Japan. But presenting Stalin with a show of strength might not have been the smartest move on the board. To those with an understanding of Stalin’s character it was clear that, after the Americans had demonstrated their power at Hiroshima, nothing on earth was going to stop him from obtaining a nuclear weapon of his own. He achieved this goal with impressive speed, relying as much on the skills of Russian intelligence agents, who stole Western nuclear secrets, as he did on the talents of Russian engineers. Russia detonated its first successful nuclear test in August 1949. It is, perhaps, fortunate for the world that Russia caught up so quickly. A leading member of the US Atomic Energy Commission after the war was a Hungarian mathematician called John von Neumann. Von Neumann had been a child prodigy, able to divide two eight-digit numbers in his head at the age of eight and who simultaneously took degrees at three different universities at the age of eighteen. Von Neumann was a genius, and he became one of the President’s most respected advisers. His advice was this: Eisenhower had no choice but to immediately launch a massive unprovoked nuclear strike against Russia, and to nuke the Soviets back to the Stone Age before they developed a nuclear bomb of their own. This wasn’t just a whim, von Neumann explained. He had hard, cold, logical proof to back up his words. He had developed game theory: a field of mathematics, further developed by mathematicians such as John Nash, which models the actions of two self-interested parties. Game theory deals with situations where the moves of your opponents cannot be accurately predicted, where there is an absence of trust, and where damage limitation is a more rational goal than outright victory. Game theory fitted the Cold War stand-off perfectly, and its unarguable logic was that the only rational move was to immediately murder hundreds of millions of innocent Russian civilians. Certainly Eisenhower’s secretary of state John Foster Dulles was convinced, and he pressured the President to send the bombs flying straight away. Eisenhower couldn’t refute the logic, but he still felt that maybe this wasn’t a good idea. He prevaricated long enough for Stalin to announce that he too had the bomb, at which point von Neumann’s logic collapsed. Having nuclear bombs was one thing, but they were not weapons you would use locally. The immediate solution to this problem was to use giant flying fortresses such as the B-29 or its successor, the uncomfortably named B-36 Peacemaker, to drop those bombs on countries far away. But long-range transport planes are slow, noisy, and relatively easy to shoot down. What if rockets such as von Braun’s V-2s could be fitted with nuclear warheads? If those rockets could become reliable enough to travel thousands of miles and still accurately hit targets such as Moscow, Beijing, or New York, then those cities would be as defenseless as London had been in the dying days of the Second World War. For America in particular, this was psychologically very difficult. The United States had never really regarded itself as being at risk before. It had fought bravely in two world wars, but the only damage it had suffered on the home front was the Japanese bombing of the navy base at Pearl Harbor. This occurred on the Hawaiian island of Oahu, nearly four thousand miles from the North American mainland, so it impacted on the typical American in a different manner to the bombardment and destruction that many European populations had come to terms with. But suddenly the United States could be destroyed, with weapons it had itself developed, by a powerful dictator on the other side of the world. 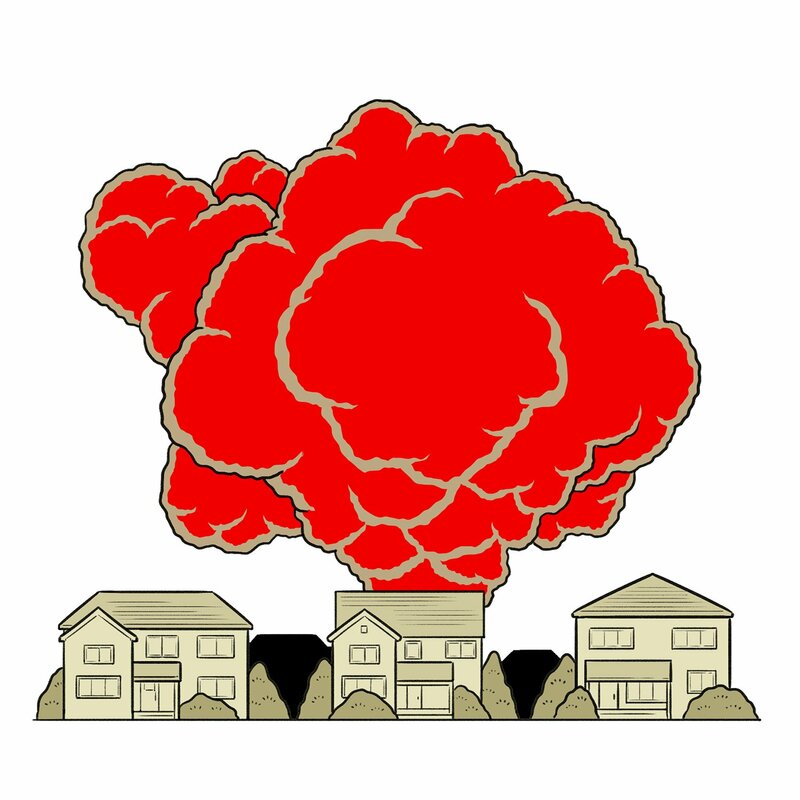 The arrival of the mushroom cloud rewrote the existing geopolitical game. The United States was a free, functioning democracy and yet the President could still be advised by someone as crazy as von Neumann. No one wanted to imagine what sort of advice a sociopath such as Stalin might be receiving. As fate would have it, key engineers in both the American and Russian rocket programs still privately regarded their weapons work as a front for their boyhood dream of space travel. Persuading their respective governments to commit the tremendous amount of cash needed to achieve this dream was unrealistic in the immediate postwar era. But building a rocket of sufficient power, reliability and accuracy to nuke the other side of the globe was, as it turned out, an identical engineering problem to that of building a rocket that could leave earth’s gravity and enter space. Vast expenditure on weapons technology didn’t generate the sort of public image that leaders wanted to project. Declaring your futuristic-sounding achievements in peaceful space flight was much more attractive. 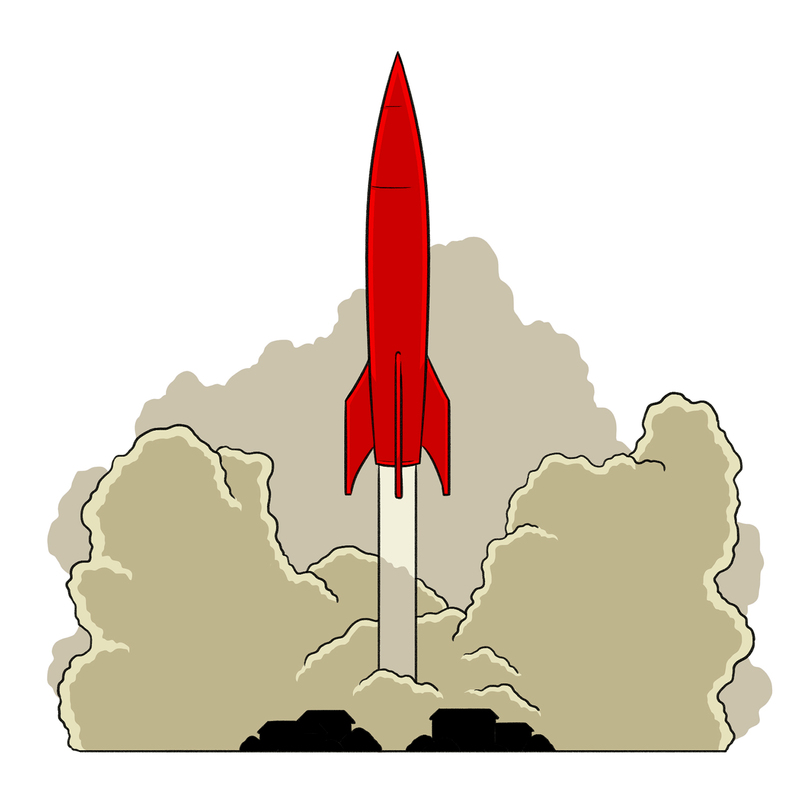 Having such a rocket was one thing, but it would only work as a deterrent if the other side knew that you had it. Announcing the development of the technology necessary to enter space was a coded way of saying that you were able to nuke every corner of the planet. They came for Sergei Korolev at 9 p.m. on June 27, 1938. He was with his three-year-old daughter in their sixth-floor Moscow apartment when his wife rushed in, panicking. She had been downstairs and seen a number of NKVD officers entering the building. She knew instinctively that they were coming for her husband. Korolev worked as a rocket scientist, and military research was as riddled with fear and paranoia as the rest of the Soviet system. His friend and colleague Valentin Glushko had recently been taken. It had to be assumed that he would have denounced anyone his torturers suggested. Such was the way of life under Stalin’s Great Purge. The NKVD promptly arrived, ransacked the apartment, and took Korolev from his family. Two days later, after torture and threats against his family, he signed a confession to the Commissar of Internal Affairs admitting his involvement in a counter-revolutionary organization and to committing acts of sabotage against the Motherland. He confirmed allegations against him made by two of his senior colleagues, who had since been shot. He had no trial, but was given a ten-year sentence in the notorious Kolyma Gulag in Siberia, at the fringes of the Arctic Circle. It probably doesn’t need saying, but there was no counter-revolutionary organization, no act of sabotage, and Korolev was entirely innocent. Many people were innocent during the Great Purge. Reason and justice played no part in that terror. It was a miracle he survived. Thousands died every month at Kolyma. Korolev was starved and beaten, his teeth were knocked out and his jaw broken. The bitter cold was unbearable, and the malnutrition led to scurvy. He was, ultimately, rescued by far-off events. The appointment of a new head of the NKVD, Lavrenti Beria, had resulted in a number of his predecessor’s cases being reopened. Korolev was told to leave the gulag and report to Moscow, where he would be retried on lesser charges. There was no transport available, so he was forced to hitch his way home. A lorry driver took him a hundred miles to the port town of Magadan on the Sea of Okhotsk, but they arrived too late to catch the last boat of the year. In payment, the lorry driver took his coat. Korolev was left to survive as best he could, malnourished and with thin clothing that froze to the floor when he slept. Korolev remained in Magadan for the winter, while temperatures fell as low as minus fifty degrees Celsius. In the spring he was able to sail to the mainland and catch a train to Moscow, but he was removed from the train at Khabarovsk for being too ill to travel. Korolev would have died shortly afterwards had he not been found by an old man who took pity on him and nursed him better. A few weeks later he was lying under a tree feeling the warmth of spring on his skin. Korolev opened his eyes and saw an exquisitely beautiful butterfly fluttering in front of him. That was the moment when he realized he was going to live. On May 13, 1946, Stalin, reacting to the American use of the atomic bomb in Japan, issued a decree that ordered the creation of a scientific research institution called NII-88. This was a rebirth for Soviet rocket research, which had ground to a halt following the purges of the 1930s. Korolev found himself once again working in the field that, like Parsons and von Neumann, he had been driven to by childhood dreams of space flight. The first order of business was for the Russians to learn what they could from the Nazis. Sergei Korolev arrived in Berlin one day after Wernher von Braun left Germany for good. The Americans had stripped the Nazi rocket factories at Mittelwerk and Peenemünde of anything that they thought would benefit the Russians, but they did not reckon on the tenacity of the Soviets or the brilliance of Korolev. The workings of the V-2 were painstakingly pieced together from scraps and clues. Korolev was able to see how the V-2 worked. More importantly, he was also able to see its faults. Korolev looked at von Braun’s great achievement, and thought that he could improve it. During the 1950s distrust between East and West became institutionalized. Anti-communist paranoia in America led to the inquests of Republican Senator Joe McCarthy. The McCarthy “witchhunt,” which led to smears, blacklists and book-burning, greatly troubled Einstein. He had lived through the rise of the Nazis and it looked to him as if history was starting to repeat itself. Liberal democracy has the ability to correct its excesses in a manner that did not happen during the Weimar Republic, but Einstein did not live to see this. He died in Princeton hospital in 1955 at the age of seventy-six, much loved and admired, but troubled by the complicated global politics his theories had in part created. During these years von Braun became increasingly frustrated by the way the United States Army kept him and his team treading water. They had no interest in funding the expensive development needed for von Braun to achieve his dreams of leaving the planet. His collaboration with Walt Disney in the mid-1950s came about due to his desire to increase interest in space research, in the hope that public support would translate into research money. His TV programs made him the public face of space travel, but there was no love for this ex-Nazi in army or government. Research projects that he would have been ideally suited for were given to the Navy or the Air Force, or to other American engineers in the army. Korolev, meanwhile, worked hard. He regained the trust of Stalin, and convinced him of the importance of long-range rocket technology. By 1947 he had built and tested copies of the V-2. In 1948 he began work on a rocket of his own design, the R-2, which was more accurate and had twice the range. He successfully tested this in 1950. In 1953 he convinced the Kremlin to back his plans for an even larger rocket, the R-7, which would be powerful enough to launch a satellite into orbit. All this was achieved while he was under extreme pressure for results, in a country devastated by war, and in an economy organized under Stalin’s unworkable state-controlled “Five-year Plans.” Korolev’s time in the Gulag had taught him to survive, but he was working himself to death. Both von Braun and Korolev began framing the conquest of space in a way that spoke to the paranoid military mind. The nation that first controlled space would be all-powerful, they argued. Permanent orbiting space stations could spy on every aspect of the enemy, and even drop bombs on any point of the globe. If we didn’t develop this technology, they said, then surely the other side would. Korolev convinced Stalin and his successor Khrushchev that rocket development had reached the point where all this was feasible, but von Braun was still viewed with some suspicion by the U.S. government, despite his growing public fame. America officially entered the space race in 1955, when Eisenhower announced plans to mark 1957’s International Geophysics year by launching a satellite into orbit like “a second moon.” But Eisenhower wanted Americans to achieve this landmark, not Germans. To von Braun’s frustration, the task of launching the satellite was given to the United States Navy. Korolev also planned to launch a satellite in 1957. His satellite was a metal ball 23 inches in diameter, which had four elongated trailing radio aerials. It was made from a polished metal that made this simple shape look exciting and futuristic. It is, strangely, a remarkably beautiful object. Korolev recognized this, and insisted that it had to be displayed on velvet. Its name was Sputnik 1. Sputnik was technically very simple. Apart from a few systems to monitor temperature and pressure, it consisted of little more than a radio transmitter that made regular pulses on two separate frequencies. The original plan of launching a more sophisticated machine was scrapped due to overwhelming pressure from the Kremlin to get something in orbit before the United States. A more elaborate satellite had been designed and built, but it could not be made to function reliably in time. It did not help that the driver who transported that satellite across Russia drank a substantial amount of industrial alcohol and crashed the truck into a tree. On October 4, 1957, Sputnik 1, a metal ball that did little but go bip-bip-bip and the last-minute replacement for a proper satellite, became the first object the human race launched into orbit. All over America, indeed all over the world, people could tune their short-wave receivers into the correct frequency and hear the pulses it broadcast as it flew overhead. Most of the world congratulated the Soviet Union on its historic achievement, but for the American public this was a terrifying, unexpected shock. The Russians were above them. The gloves were off. Suddenly there was no shortage of political will to back the space program. Unfortunately for the Americans Korolev had no intention of slowing down, despite signs of heart problems. Sputnik 2 launched less than a month after Sputnik 1. It contained a dog called Laika, who became the first living creature launched into space. The satellite’s cooling system failed and Laika was cooked to death during the flight, but this was not announced at the time and Laika became a folk hero to the Soviet people. The first spacecraft to land on another celestial body was Luna 2, which reached the moon on September 14, 1959. It is probably fairer to say that it crashed into the moon rather than landed on it, but that was sufficient to achieve its aim of delivering an engraving of the Soviet coat of arms to the moon’s surface. Khrushchev gave Eisenhower a copy of this pennant as a deliberately tactless gift. A further Luna probe in October 1959 sent back the first pictures of the dark side of the moon. On August 19, 1960, two dogs named Belka and Strelka became the first living things to journey into space and, crucially, return alive. Then, on April 12, 1961, a farm boy from war-ravaged western Russia, the son of a carpenter and a milkmaid, became the first person in space. His name was Yuri Gagarin. The Soviet Union had won the space race. Gagarin was unflappable and good-natured with a handsome, boyish face. He was the ideal poster boy for a country still traumatized by the losses it suffered during the German invasion, and he helped restore Russian confidence and pride. He became a global celebrity overnight. Before the flight, Korolev and his team realized that they needed a word to describe the capsule, Vostok 1, which Gagarin would pilot. After much debate they decided to use the word “spaceship.” All this occurred before the development of modern digital computers and only twenty-two years after the first flight of a jet-engine-powered plane. The American space program was not going well. The Navy’s attempts to launch a satellite in 1957 failed, so von Braun suddenly found himself in favour. Wasting no time, he was able to place the first American satellite in orbit in January 1958, but this was just one small success in a humiliating string of disasters. The rush to catch up meant that many American rockets either failed to launch or exploded spectacularly. It did not help that every American failure occurred in the full glare of the public gaze, while Russian failures were routinely hushed up. The newspapers were quick to headline such failures with terms like “Kaputnik!” A rocket that only succeeded in reaching four inches off the ground was a particular embarrassment. When news of Gagarin’s flight broke, an American reporter rang the newly established American space agency NASA for their reaction. It was 5:30 a.m., and the phone was answered by a PR man who had worked long into the night and slept in his office. “Go away,” he told the reporter. “We are all asleep.” The reporter’s headline became: “SOVIETS PUT MAN IN SPACE. SPOKESMAN SAYS U.S. ASLEEP.” When America did succeed in placing their first man in space, on May 5, 1961, it was notable that they could only achieve suborbital flight. Unlike Yuri Gagarin, who flew around the entire planet, the American astronaut Alan Shepard went straight up and, fifteen minutes later, came straight back down again. In December 1960 Sergei Korolev suffered his first heart attack. He recovered and returned to work, where he continued to push himself far beyond the boundaries that his health could stand. His health deteriorated, and internal bleeding and intestinal problems joined his cardiac arrhythmia. He had faced death before, during his time in the Gulag, and he refused to let it interfere with his work. He was able to notch up further historic achievements, such as launching the first woman into space in June 1963 and the first spacewalk, in March 1965. But in January 1966 he died, and the Russian space program collapsed around him. The era of Russian space “firsts” came to an abrupt halt. Korolev was unknown during his lifetime. His identity was kept secret, for fear of American assassination, and he was known to the public only by the anonymous title “Chief Designer.” With death, however, came fame. His ashes were interred with state honours in the Kremlin Wall, and history now recognizes him as the architect of mankind’s first steps into the cosmos. In time, if mankind does have a future out among the stars, he may well come to be remembered as one of the most important people of the twentieth century. This project was the Apollo program. It was, in many ways, a crazy idea. The space race had already been lost. Kennedy was correct in recognizing how “difficult and expensive” the project would be, but he should also have mentioned “dangerous.” Three crew members of Apollo 1 would burn to death in a cabin fire in January 1967. If the aim of the project had been to collect moon samples for scientific study, then the Russian approach was more sensible. They sent an unmanned probe called Luna 16 to the moon, which drilled down, collected rocks, and returned them to earth. If the aim of the project was to drive around the surface in a little buggy taking pictures, then the Russians did this too, with the unmanned Luna 17. The American manned approach was so dangerous and expensive that it seemed impossible to justify. But the aim of the Apollo program was not simply scientific. It was an expression of the American character, which would come to typify the second half of the twentieth century. So what if the space race had been lost? If the public could think of that race in radically different terms, then it could still be won. The goal posts could be moved. The United States understood what people wanted. They wanted to see men climb into a spacecraft, land it on the moon, then walk out and hit golf balls around. They wanted to see astronauts drive space buggies across alien landscapes, then send messages of love home to their wives and children. The hard, useful science that Korolev had achieved was all well and good, but what people really wanted was what the B-movies and science fiction comics had promised. The Apollo program, if it could succeed, would rewrite the nature of the space race in people’s minds. It would redefine it not as something that had been lost, but as something that they were always destined to win. This was extraordinarily risky because what Kennedy asked NASA to do was so difficult that it did not, at the time, appear possible. It was the most expensive “Hail Mary pass” in history. As Kennedy’s speech made clear, his reasons were political rather than scientific. “If we are to win the battle that is now going on around the world between freedom and tyranny,” he told Congress, “the dramatic achievements in space which occurred in recent weeks should have made clear to us all, as did the Sputnik in 1957, the impact of this adventure on the minds of men everywhere, who are attempting to make a determination of which road they should take.” The heroic flight of Yuri Gagarin, in other words, might lead people towards communism. If Western democracy was a superior system to the unworkable horror of communism, then what were the Russians doing orbiting the planet and racking up achievements that were, frankly, beyond the ability of American engineers? The solution to the problem was to throw money at it, and the aim of Kennedy’s address was to secure massive amounts of taxpayers’ dollars. “Our greatest asset in this struggle is the American people,” Kennedy said, “their willingness to pay the price for these programs, to understand and accept a long struggle, to share their resources with other less fortunate people, to meet the tax levels and close the tax loopholes I have requested.” It is hard to imagine a President using those words today. Kennedy asked for $7 billion, but the final cost was over $25 billion. It is one of the many ironies of the American space program that, even though it was intended to demonstrate that the American system of freedom and individualism was superior to communism, it could better the achievements of a single-minded Russian genius only through an expensively funded government program. This was von Braun’s hour. While Korolev had toiled away in obscurity, von Braun became the face of the U.S. space program. His profile had already been boosted by a 1960 film of his life story, somewhat sanitized, entitled I Aim at the Stars. The film was retitled Wernher von Braun for its British release, possibly to avoid the common joke that the film’s full title was “I Aim at the Stars (but Sometimes I Hit London).” Yet regardless of his past, there was no doubt that von Braun was the man for the job. The towering Saturn V rocket he and his team created was a modern wonder of the world. It rose elegantly into the Florida sky on June 16, 1969, with the comparatively minuscule Apollo 11 spacecraft in its nose. Inside that craft sat the best of the best, the astronauts Michael Collins, Buzz Aldrin, and Neil Armstrong. Mission control began a “T-minus” countdown, with launch occurring when the countdown reached zero. This idea was taken from Fritz Lang’s 1929 film Frau im Mond (Women on the Moon). Von Braun was a big fan of this film, and had painted its logo on the base of the first V-2 rocket launched from Peenemünde. Four days later, after a journey of 384,400 kilometres, Armstrong became the first human being to set foot on a celestial body other than the earth. It was one small step for a man but, as he so perfectly summed up the moment, one giant leap for mankind. It was also a giant leap for America. In the nineteenth century, it had been the British who led the way in culture, science and progress. In the first half of the twentieth century, Germany and the German-speaking European countries had taken that role. After those nations had been stricken low by the cancer of fascism, two giant superpowers emerged as contenders for the title of the world’s leading nation. In the nuclear-war-poised geopolitics of the Cold War, the only safe arena for them to compete was off-world. When Armstrong’s boot crunched into the fine grey dust of the lunar surface, the world had a winner. The twentieth century became, and will always be known as, the American Century. The Apollo program worked on a level above military, political or scientific advancement. It was not just Jack Parsons, Sergei Korolev and Wernher von Braun who grew up reading pulp science fiction and dreaming of making it a reality. The singular determination that those men demonstrated may have been rare, but their dream was shared by countless others. On December 14, 1972, the crew of Apollo 17 left the moon. They did not realize it at the time, but they would be the last people to travel outside the earth’s orbit for at least half a century. There is hope that the Chinese or private companies may visit the moon or even Mars in the twenty-first century, but it is also possible that mankind will never return. Once the political aims of the Apollo project had been achieved, the argument for government funding of space research on that scale collapsed. Ambitions dropped back down to the level displayed by the Russians in the 1950s and 1960s, when unmanned machines performing valuable science was financially justifiable, while the human dream of exploration for its own sake was not. This could be seen as a massive anticlimax, except for one thing. In December 1968 the crew of Apollo 8 became the first humans to leave earth’s orbit and travel into space. They launched with the intention of orbiting the moon and becoming the first people to look upon its dark side with their own eyes. They achieved this, but they also saw something else. It was not something that they had been expecting, but it turned out to be something of the utmost importance. When they rounded the dark side of the moon, the crew of Apollo 8 became the first humans to see the whole of planet Earth, hanging alone in space, blue and white and indescribably beautiful. They photographed it, and called that photograph Earthrise. In 1948 the English astronomer Fred Hoyle, who coined the term the Big Bang, predicted that “Once a photograph of the Earth taken from outside is available, a new idea as powerful as any in history will be let loose.” The earth that Apollo 8 left was massive and entirely dependable, yet there it was, infinitely small and shockingly delicate. The sixty-two miles of atmosphere, which had looked an insurmountably massive barrier to engineers like Parsons, Korolev, and von Braun, were seen as a fine, delicate wisp hugging the surface, a simple line separating the wet ball of rock from the void. In the twentieth century mankind went to the moon and in doing so they discovered the earth. 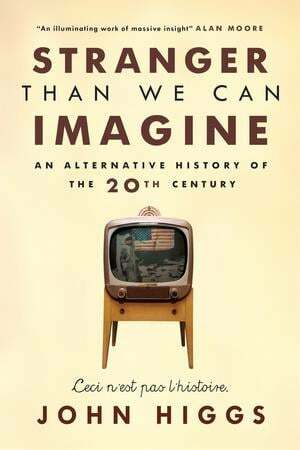 Adapted from John Higgs’s Stranger Than We Can Imagine: An Alternative History of the 20th Century. All illustrations by Anuj Shrestha. JOHN HIGGS is the author of The 20th Century: An Alternative History (2015).